Today starts season 3 of the HGG Cooking Show! Can you believe it’s been almost 3 years since the very first HGG Cooking Video posted? Thank you so much for watching, subscribing to my channel and for all your great comments! I love connecting with you! To celebrate our first new cooking video of the season, which happens to also be in the new Los Angeles HGG Kitchen, we are going to make some dessert! 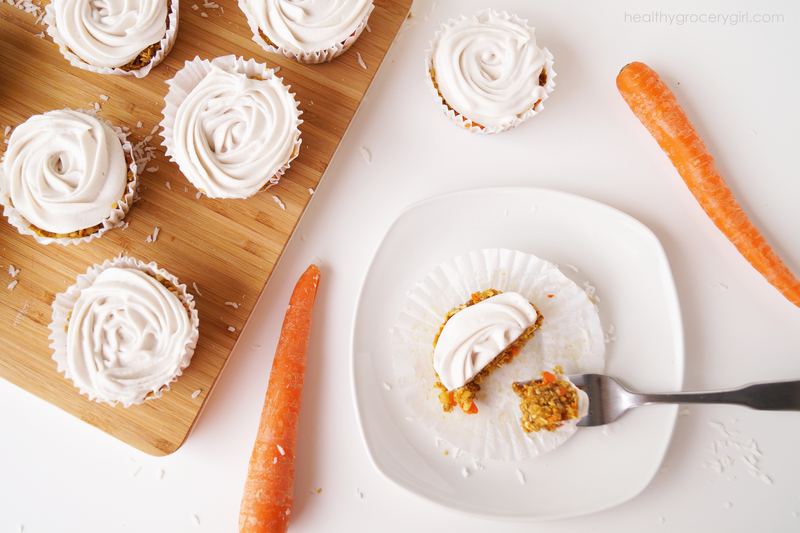 And not just any dessert… we are making one of my all time favorites… carrot cake cupcakes with coconut whipped cream frosting! 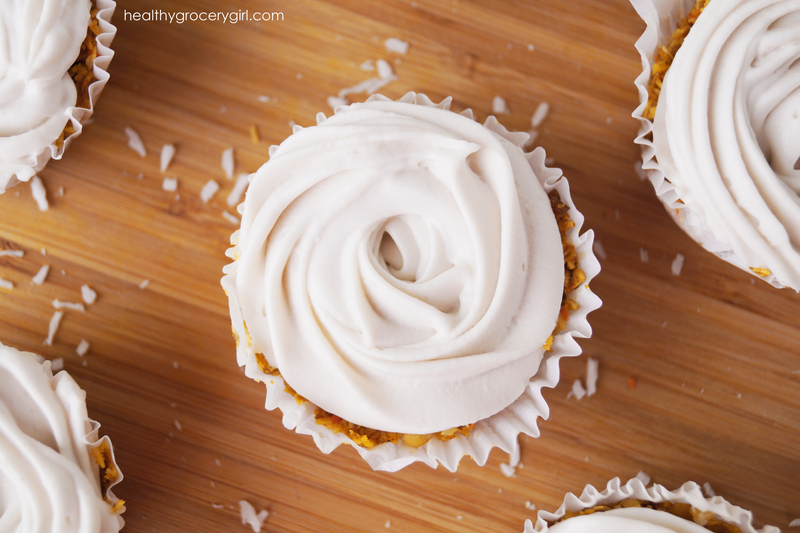 This recipe happens to be gluten-free, vegan & raw but don’t let these healthy words scare you… it just means that these cupcakes happen to be healthy and require no cooking! So let’s get to it! 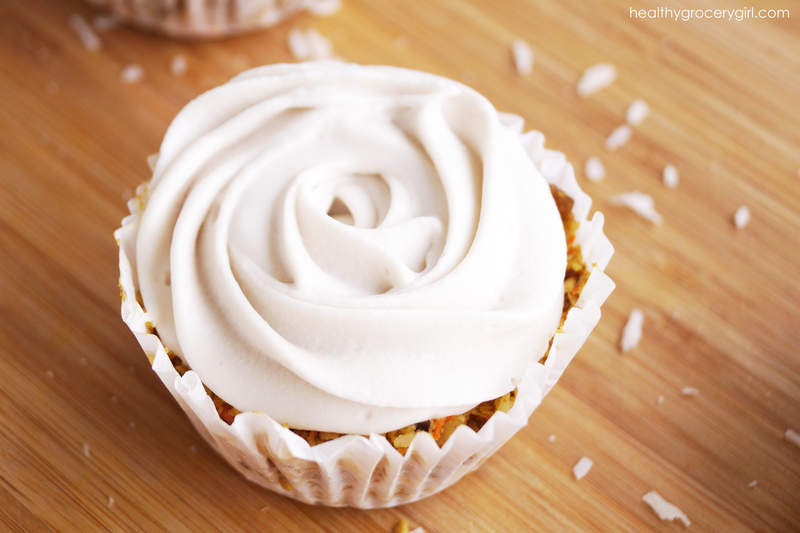 A dessert you can enjoy guilt-free! 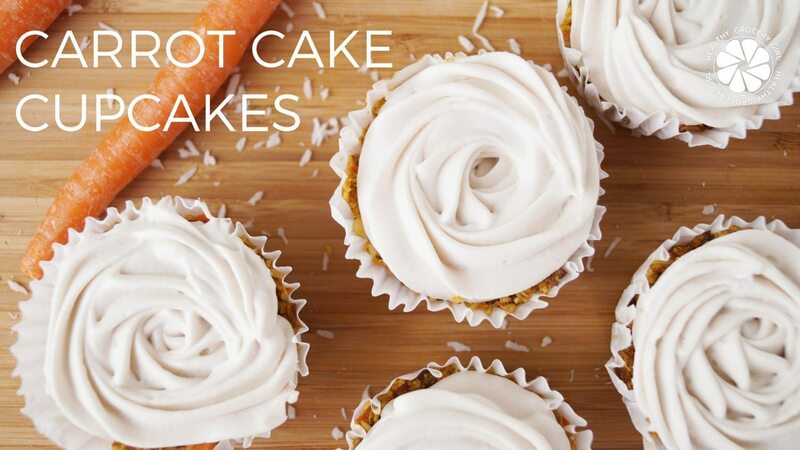 Place cupcakes back into the freezer for 15 to 20 minutes to "set" before enjoying!